Arturas Bumšteinas is a well regarded musician and visual artist from Vilnius, Lithuania. He is involved in many projects in the fields of contemporary and experimental music. His compositions have been published by many labels as physical and online releases. Bumšteinas also has a prolific career as visual artist, working on techniques ranging from video to drawings, sound installations or photography. Eterniday News (Vol. 1) is a compilation of four compositions centred on many aspects of soundscape composition, sampling and recombination. Composer has prepared quite a long oeuvre that portraits different moments during his touring around Europe. In general the whole release is a tour around different aspects of Bumšteinas interest in contemporary composition. A tour that generates an imaginary landscape of acoustic moments that has an inherent feel of sound logbook or the kind of recording you get back home after traveling. "Waking Song (instrumental version)" is an instrumental version of original song for soprano voice and electroacoutsic ensemble from the song cycle called „Five Songs“. This cycle won 1st Prize in the Competition of Best Lithuanian Music Compositions of the Year 2009 (electroacoustic category). Instrumentals by Liudas Mock?nas (sax), Šarnas Jankauskas (clarinet), Tadas Žukauskas (violin). "Refusenik" was composed from various field-recordings captured in churches around Europe in years 2009-2010. Additional sample material of wind and stones was recorded on Sylt island, Germany in March of 2010. Instrumentals by Arturas Bumšteinas (organ), Travis Garrison (crotales) Sigut? Ilgauskait? (voice sample). "Stolby" was composed from various over-over-processed samples of K.Stockhausen's music. All the sound sound material was recorded during rehearsals of Quartet Twentytwentyone for the Cut & Splice / BBC3 festival in London, 2008. Instrumentals by Arturas Bumšteinas (Yamaha PSS-390). "Purim" is a reworking of Pure's (moniker of experimental musician Peter Votava) live performance field-sampled in Berlin, February of 2009. 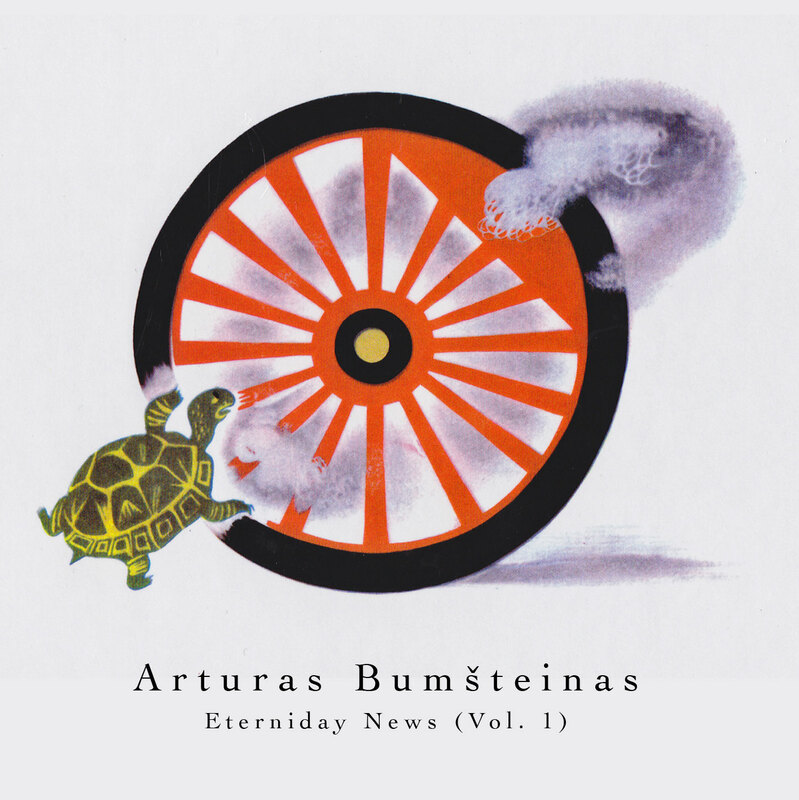 Instrumentals by Arturas Bumšteinas (organ and harpsichord from Berlin's Museum of Musical Instruments). Arturas Bumšteinas (organ and harpsichord from Berlin's Museum of Musical Instruments). All tracks composed, recorded and produced by Arturas Bumšteinas in 2008, 2009 and 2010. "Arturas Bumšteinas es un reconocido artista visual y compositor lituano que aquí nos presenta cuatro piezas creadas con varios métodos de composición a partir de las experiencias vividas por el artista durante una gira por europa, las grabaciones de campo se encuentran siempre presentes, pero tratadas de una forma suave, casi ocultas tras un velo, y acompañadas también por colchones y pads con un estilo suave que se van desarrollando lentamente."